Throughout the episode 15 of Ranjha Ranjha Kardi, I felt all sorts of emotions from; giddiness, to smiling at the sweet and tender moments between Noori and Bhola, to almost being teary-eyed and hoping for something wonderful to happen, I was feeling very uplifted as we saw our heroine behave her usual self, from behaving like the know-it-all to showing her angelic side to her mother-in-law as she paid heed to Ama Janate’s advice on moving forward in life (which we saw in the last episode). Episode 15 was a sweet reminder of young and innocent love, a beautiful expression of a mother and son’s love, and the circumstances that surround everything wonderful in life. It was also a life-lesson for all those trying to seek redemption and painting a future for themselves in times of misery. Noori and Bhola were at their ultimate best, and we’re pretty sure that they’ll continue to inspire us with their performances, Asma Abbas as Fehmida is probably the most naturally maternal character who’s au-brilliant performance makes you weep and wish for all her ills to fade away as she hopes the best for her son, and Noori is not letting her down for now. This is an episode that we can re-watch because you can feel friendship and love brewing between our protagonists and we commend both Faiza Iftikhar and Kashif Nisar for their craft. A good and solid friendship makes any relationship thrive and we know that initially when Noori and Bhola met, they instantly became good friends who could laugh and have a jolly good time. Since Noori has started letting go of her ego and words that kept her growth cemented to notions that would once hamper her, her tie with Bhola has taken a leap towards positivity for both the characters. Bhola’s need to do anything for his dulhan provided she speak to him pyaar say is a new love’s yearning, and there are times when Bhola is his child-self and refuses to listen to Noori who knows how to handle him with, sometimes love and sometimes threat and anger. I loved the encounter between these two when Noori tells Bhola that he can wash his face himself and even do his hair and these moments between them accompanied by Imran Ashraf and Iqra Aziz’s acting chops make every scene believable! 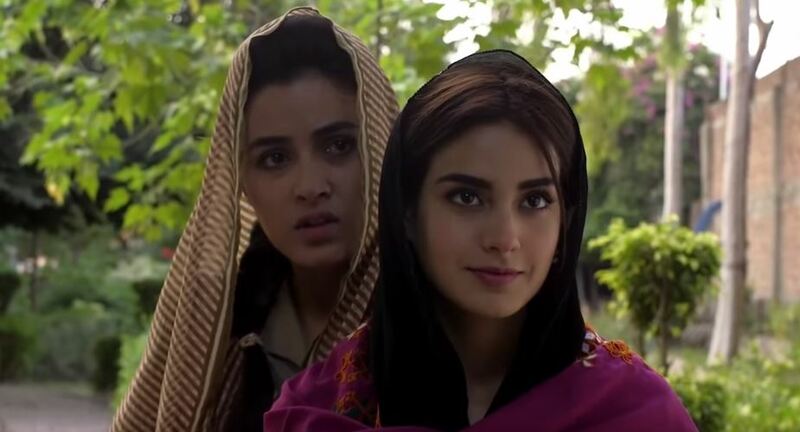 And it is such a huge relief to see Noori getting back to her clever, happy go-lucky and rebellious self, who is ready to take on challenge, either with Bhola or when she had so save Komal from Dar and Shafique in the park. Noori has managed to develop a bond of trust and friendship with her and her MIL, who will eventually open up with her and her fears regarding Bhola since Noori begun with the initial probe of how Bhola became who he is today. Her curiosity might open a new door for Bhola where his dulhan will help him become the man of the house, and her life. The scene between Fehmida and Bhola when he told her that he likes to put his head in his dulhan’s lap while she runs her hand in his hair was absolutely adorable as the mother enjoyed the little deets of her son’s new life, whilst being hopeful for him. At the same time, the chacha and chachi are envious of the newly cultivated joy between Fehmida, Noori and Bhola and are always planning or whining about them, but we know tha Nusrat is after the family’s money, so he will be playing his hand soon with an “unaware” wife! PRELUDE: OMG SAHIR IS THE TRUSTED MAN? Yes, he’s back and just out-of-the-blue! The Director and Writer have very compellingly brought him back from the dead and we can only fear the havoc that his presence will wreak on Noori. Fehmida doesn’t know about Noori’s past, Nusrat and Rizwana might use him once they find out, or Sahir will spill the beans? Stick around to find out in Ranjha Ranjha Kardi Episode 16.